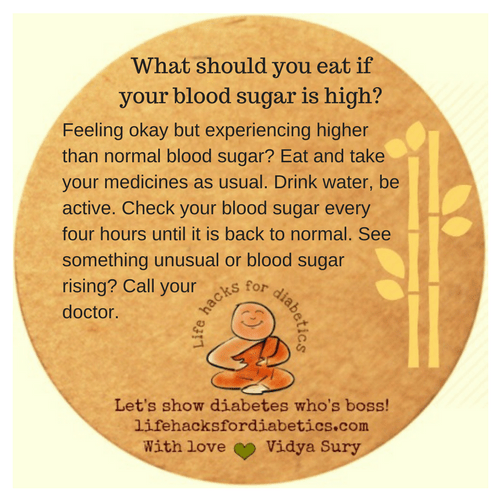 Feeling okay but experiencing higher than normal blood sugar? Eat and take your medicines as usual. Drink water, be active. Check your blood sugar every four hours until it is back to normal. See something unusual or blood sugar rising? Call your doctor.